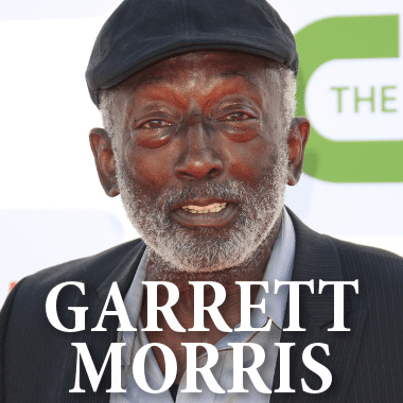 Garrett Morris has been making audiences laugh for decades. Sunday Morning’s Rita Braver spent some time with the familiar face, who first shot to fame as an original cast member on Saturday Night Live in 1975, or more recently as a quick-witted diner cashier on the CBS sitcom 2 Broke Girls, which airs Monday nights on CBS. The actor is 77 years old and twice divorced. He said he is blessed to be enjoying his job on a popular television show at this age. He also took a trip with CBS Sunday Morning to his birthplace in New Orleans and the church where his grandfather worked. Morris was born after his mother was assaulted as a teenager. Morris was singing gospel and blues in the 1940s, which were polar opposites. He studied classical music at Dillard University. In the 1950s, he moved to New York and became a singer with the Harry Belafonte Singers. His early film roles included Cooley High and The Anderson Tapes with Sean Connery. A few years later, he got his big break during the first five seasons of Saturday Night Live. There, he portrayed characters like baseball player Chico Escuela. However, Morris recalled that he was very introverted during that time, in addition to battling a cocaine habit, which lasted 30 years. For the past decade, Morris has been drug-free. However, he does regret a string of B-movies, including 1985’s The Stuff. Years later, he was the boss on Martin. In 1994, he was shot during a robbery in broad daylight. He spent about one year in a wheelchair; it was a slow recovery. During his recent return to New Orleans, he visited an old friend at Dooky Chase’s restaurant, where diners can enjoy classic soul food and harmonizing with the establishment’s namesake. He also performed at Snug Harbor Jazz Bistro. If you’re curious about his singing talents, you can check out his newly released Black Creole Chronicles album, or visit Garrett Morris’ Downtown Blues and Comedy Club in Los Angeles. Morris told Sunday Morning that he has no plans for retirement, and just wants to be ready for whatever comes next for as long as he can. It seems that the man is making the most of the remarkable opportunities that have come his way over the years. I hope I have that kind of determination and success to reflect on in my 70s.